A man A plan A canal » Record Store Day Was Rad – How Did You Celebrate? Another Record Store Day is in the books, and it looks like the annual event was a success! We’ve seen some great wrap-ups of local events, like this photo gallery from The Dallas Observer and this one from The Miami New Times. We’d love to get a better idea of what your station did to celebrate, so please hit us up with a recap! We know some stations even participated in Vinylthon, spinning as much as 24 hours of wax without anything digital. 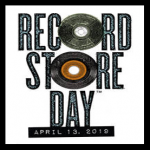 We hope to read your #RSD19 stories!